The Chevy Corvette grew up a lot when it evolved from the pop-up headlight’d C5 generation into the smoother and more timeless C6 for 2005. Soon after, the Z06 high-performance variant was born an instant classic. Today, a C6 Z06 is one of the best deals in used high-performance cars going. Zack Klapman of The Smoking Tire sums up why the C6 Z06 rules so hard pretty nicely when very expressively exclaims: “the engine just feels so smooth” on his test drive. Indeed, the seven-liter 505-horsepower LS7 V8 is still largely considered legendary more than a decade after its introduction. 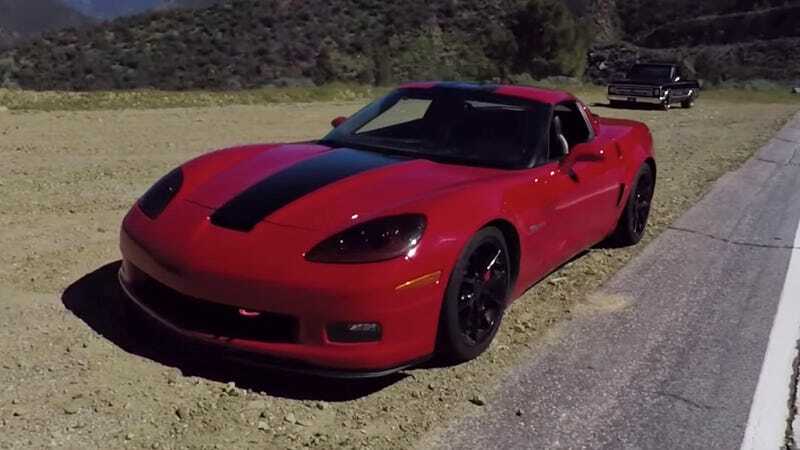 The beautifully maintained red Z06 in this video has been dialed in with some minor modifications, and based on Klapman’s reaction to driving it, I would say this video pretty much confirms any suspicion you may have had that a used Z06 from the mid-2000s is one of the best performance-to-asking-price ratios you can find on the used car market right now. This car’s owner, Aaron, says you can find one for about $30,000 if you look hard enough and aren’t too picky about color. That seems like a pretty screaming deal for vehicle with an aluminum frame, carbon fiber fenders, and did we mention the seven-liter engine? Apparently you can even squeeze 28 mpg out of it on the highway. The design of this car has aged very gracefully, and it doesn’t look like the performance has lagged much at all either. I only remember I want one every time I see one or somebody brings it up. Could This Zany 1991 &apos;Baja&apos; Ford Mustang Get You to Pony Up $5,500?